With the EP-54V-150W-AC Secondary AC PSU Module from Ubiquiti Networks it is possible to double the power output of the EdgePower EdgePoint DC Power Supply unit. With a total of 300 watts of power the PSU can then power EdgePoint routers and switches and even provide power to connected PoE equipment. 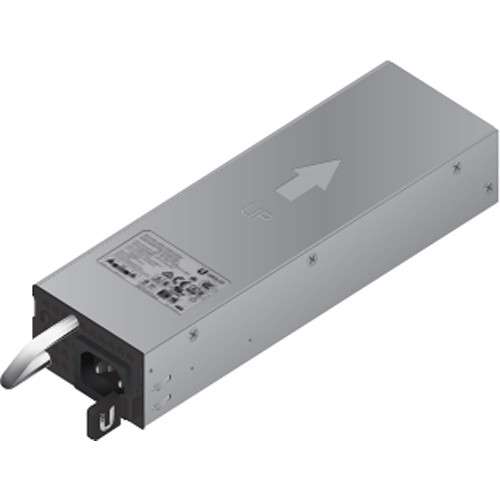 The on-board power can also be divided in half using 150 watts of power for network equipment and the other 150 watts as redundant power should the initial PSU fail. The secondary PSU module is also hot swappable eliminating the need to power down the system when replacing modules.